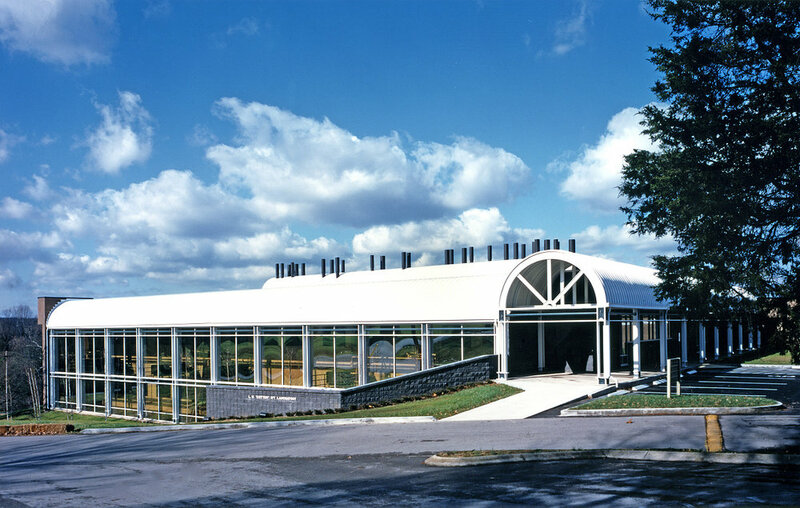 This 31,000 square foot, state-of-the-art laboratory addition was designed for flexibility, promoting program changes, changes in lab functions, and changes in future testing processes. The design also encourages and facilitates inter-lab communications and cross-training of staff. While existing laboratory and office spaces remained operational throughout the construction process, the existing building was converted into administrative and support functions. A two-story open lab addition was connected to the existing building by a two-story atrium which acts as a link between new and existing spaces and serves as a meeting space for staff members.